Not long ago, an eyewitness report from the Philippines was related to me by the witness' husband, and later posted on this blog. 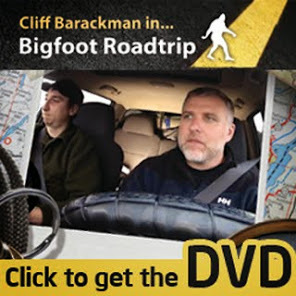 This has now brought other witnesses forth with their stories about seeing kapres (bigfoots?) on other occasions. One man knew his wife had seen a kapre as a little girl back in 1985. He eventually coaxed her to meticulously describe what she saw. 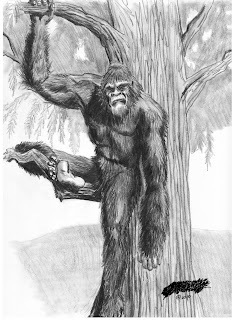 The man then found a talented and well-known bigfoot artist to whip up a couple renditions of what his wife saw. The full account of the sighting can be read on the blog The Adventures of Imonacan. For my part, I wanted to share this interesting international sighting, as well as this amazing art, with my readers. Is that thing smoking a cigar, the top painting?